Thesis Title : Quantitation and Surveillance of Hormonal Residues in Meat, Milk and Viscera of Food Animals. Thesis Title : Effect of Acetic Acid and Propionic Acid on Bacteriological Quality of Beef. 25 Years of Research Experience. 33 International and 43 National Publications in Referred Journals. 5 Externally Aided Projects and 66 State Plan/KVASU Projects. 30 International and 115 National Confrences and Seminars. 3 Book Publications and 15 Book Chapters. 10 Booklets and 9 Popular Articles. A total of 24 years of Undergraduate Teaching and 22 Years of Post-Graduate Teaching Experiece. Excellence in P.G. Guidance of a total of 10 Ph.D, 43 M.V.Sc, and 6 M.Sc Students. Academic council member, KVASU since September 2017. Chariman, Board of Studies since September 2017. Chairperson, Project Co-ordination Committee, CVAS since September 2017. 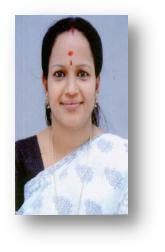 Head of the Department, Veterinary Public Health, CVAS Pookode [03/12/05 - 03/09/09] and Mannuthy from 10/10/09 till date. Implimenting Officer of School of Zoonoses, Public Health, and Pathobiology for a period of 5 years. Director Board Member of University Co-Operative Society for the past 6 years. Co-ordinator of Diploma Courses on Lab Techniques for the past 8 years. Member of the APEDA meat inspection team for the past 4 years. Expert for ARS/NET, Kerala PSC, and Punjab PSC Question Paper Setting for the past 5, 4, and 2 years respectively. Chairman, Faculty Research Council since September 2017. NSS Program Office for 4 years. Binsy Mathew, Vrinda Menon K., Latha, C, Deepa Jolly and Sunil, B 2015. Antimicrobial effect of lipase on the bacterial counts of beef carcass. Int J Rec. Sci. Res. 6(10) : 24-25. Muralikrishna P, Sunil B, Latha, C Archana S.N, Savita R.K, Vanitha H.D and Drishya P. 2017.One health approach in bio-medical waste management. International Journal of Science, Environment and Technology, 6 : 1090 – 1094. Vanitha HD, Sethulekshmi C, Latha C (2018) An epidemiological investigation on occurrence of enterohemorrhagic Escherichia coli in raw milk, Veterinary World, 11(8): 1164-1170.